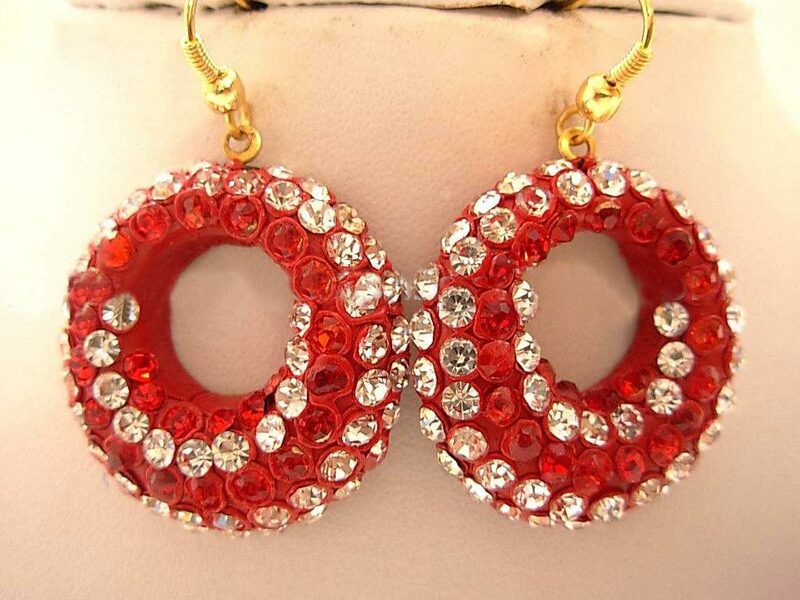 These are a beautiful pair of Lac Earrings. These are very light weight Handcrafted Jewelry. 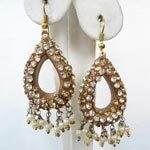 These are handmade earrings made completely by hand with almost all organic ingredients called Lac or Lakh. 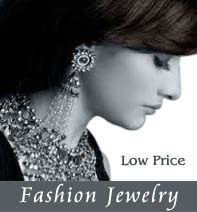 Lakh Jewelry or Lac jewelry is handcrafted in small villages of Rajasthan in India. Lac Jewelry has a touch of ethnic and classy look. 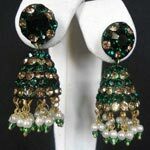 This set involves very intricate and detailed craftmenship Lakh jewelry, lac jewellery. 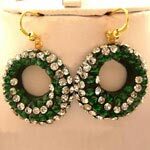 Here you can get wide range of designer Lac Earrings, Handmade Earrings or lakh Earrings. These vibrant Earrings are traditionally designed and handcrafted. 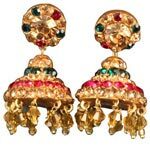 The perfect gift for weddings, housewarmings, engagements and festivals, Just buy this Lovely Lakh Earrings Set. Extremely light weight. Perfect for a gift for your or someone you love. 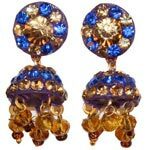 Trendy and Gorgeous Color Lakh earring set in fine color. This earring Set would make a lovely gift or great addition for your own jewelry wardrobe. 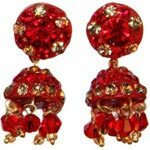 This Costume Handmade Earrings sets are also very popular as Casual,informal and friendly party wear. 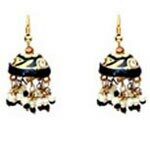 India is famous for traditional handcrafted ethnic jewelry. 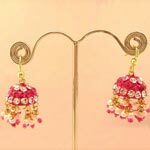 There are different types of ethnic jewelry such as Kundan (where gold foil is used in the setting), Jadoo (stone setting), Meena (enameling) and Lakh Jewelry (wax filled jewelry ). 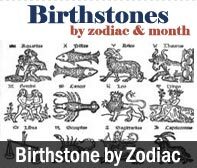 A combination of one or more of these types can also be used to produce highly individual unusual pieces.